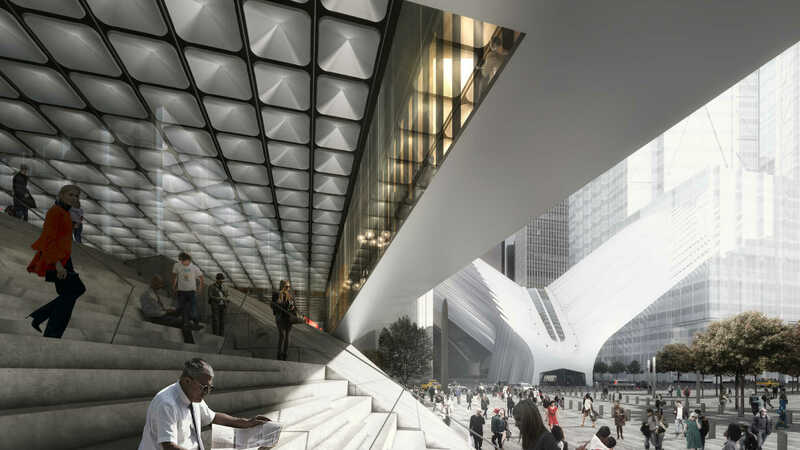 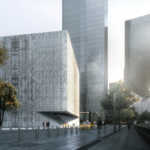 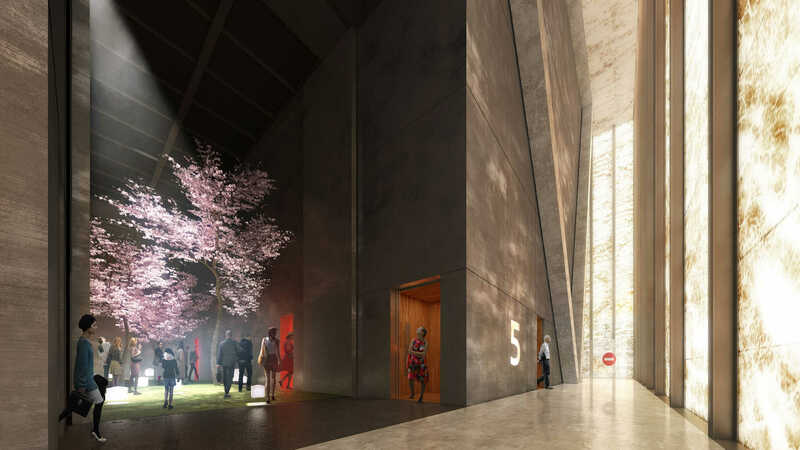 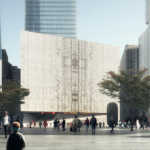 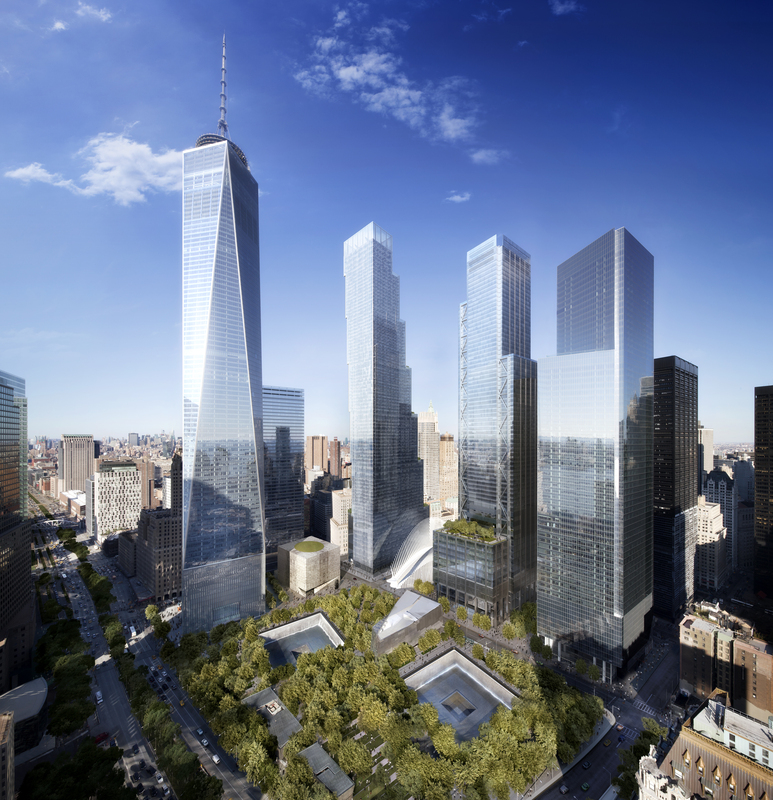 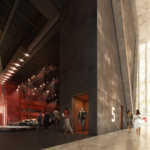 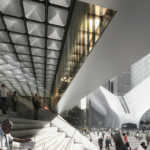 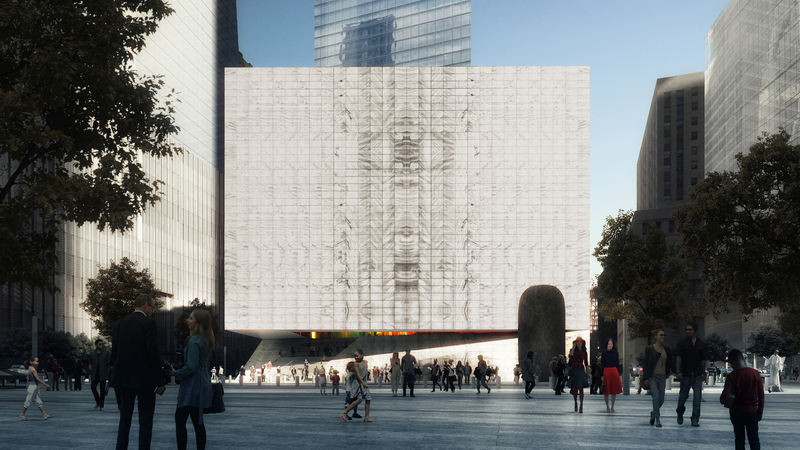 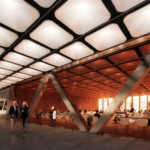 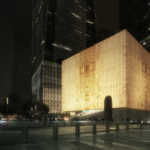 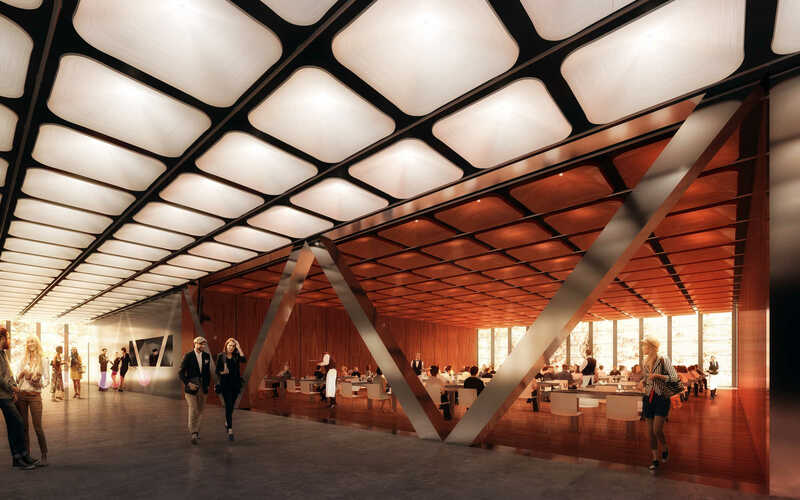 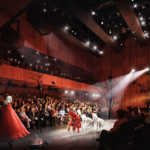 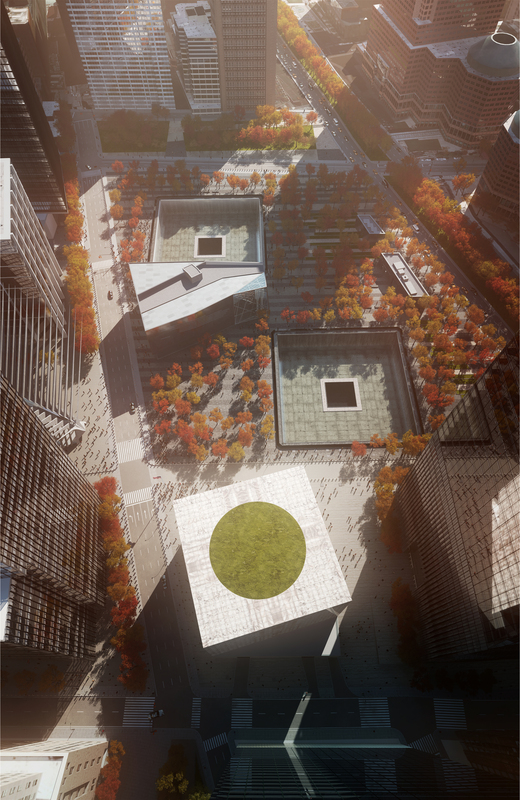 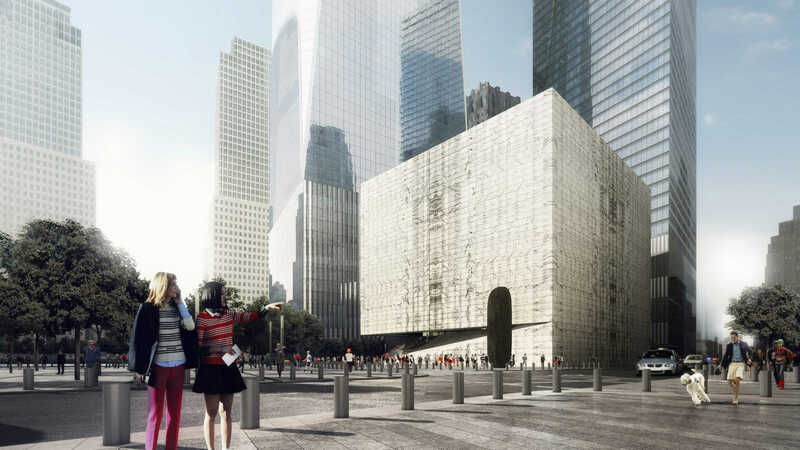 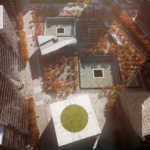 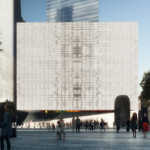 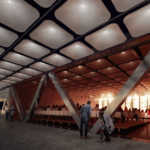 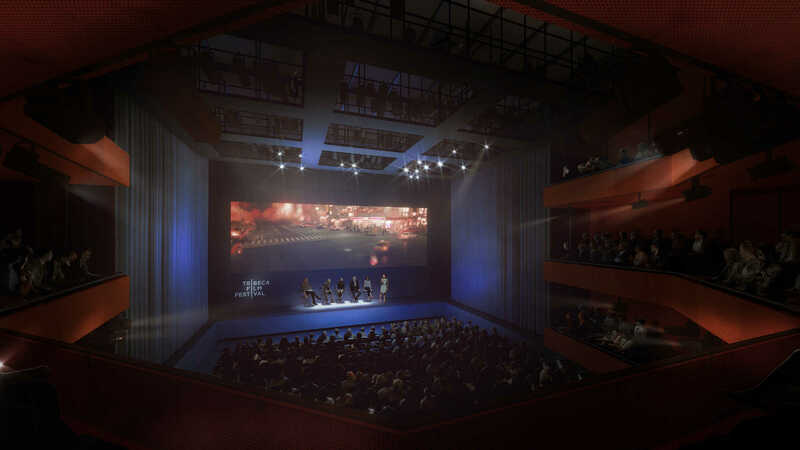 Today, REX’s design for the Ronald O. Perelman Performing Arts Center at the World Trade Center was revealed before an eager audience of architects, press, developers, and New York City patrons of the arts. 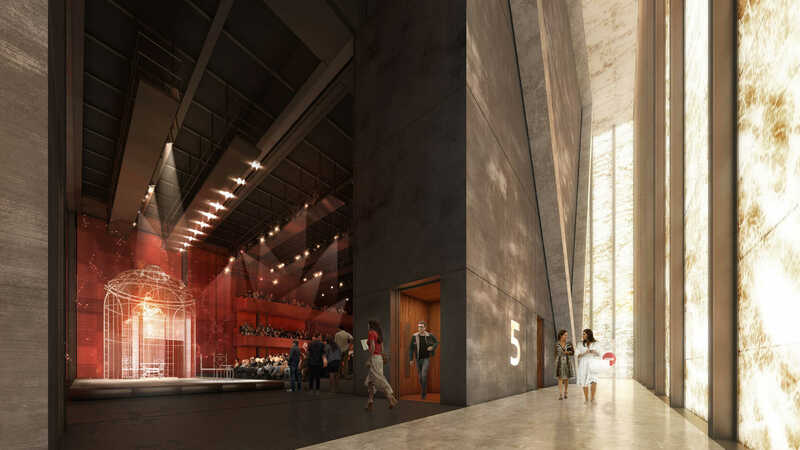 Maggie Boepple, president and director of the Perelman Center, noted that the group met with over 200 people—artists, neighbors, and critics—to determine what type of performing space the city most wanted. 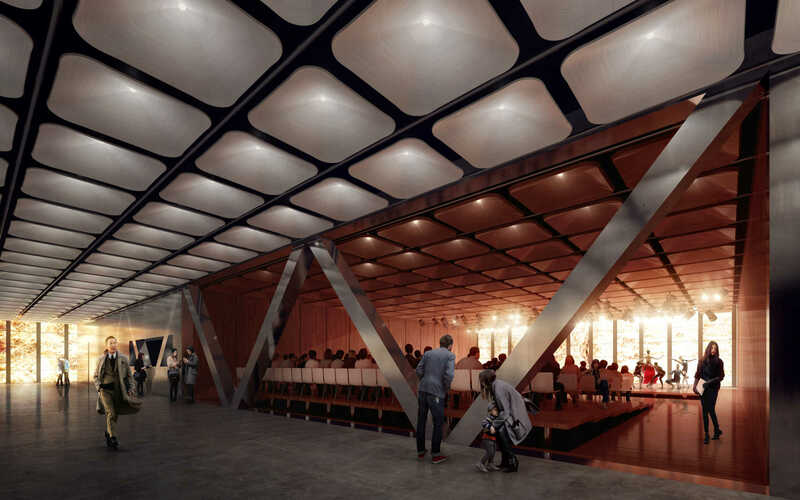 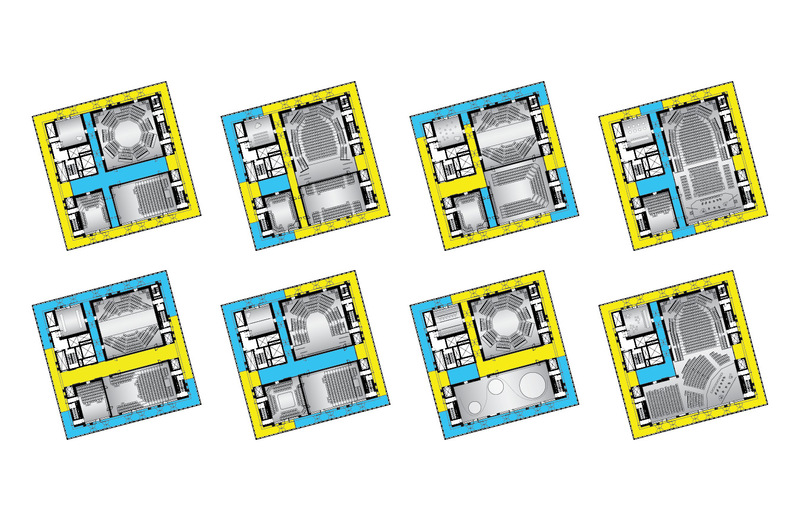 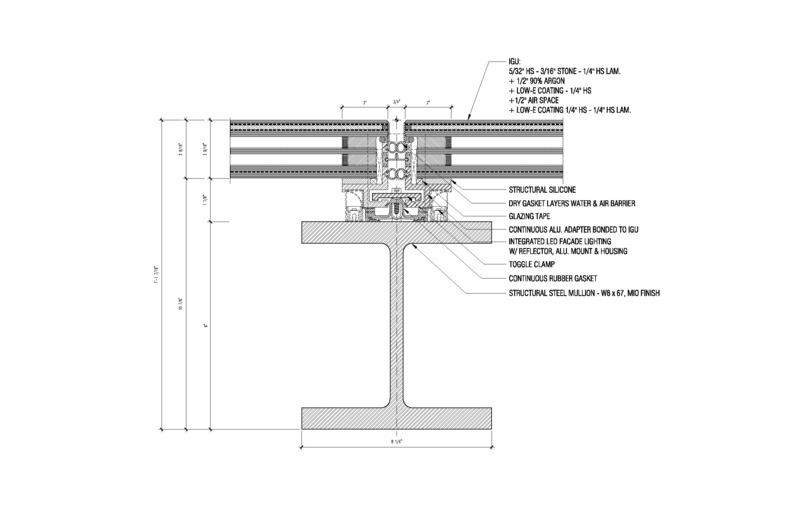 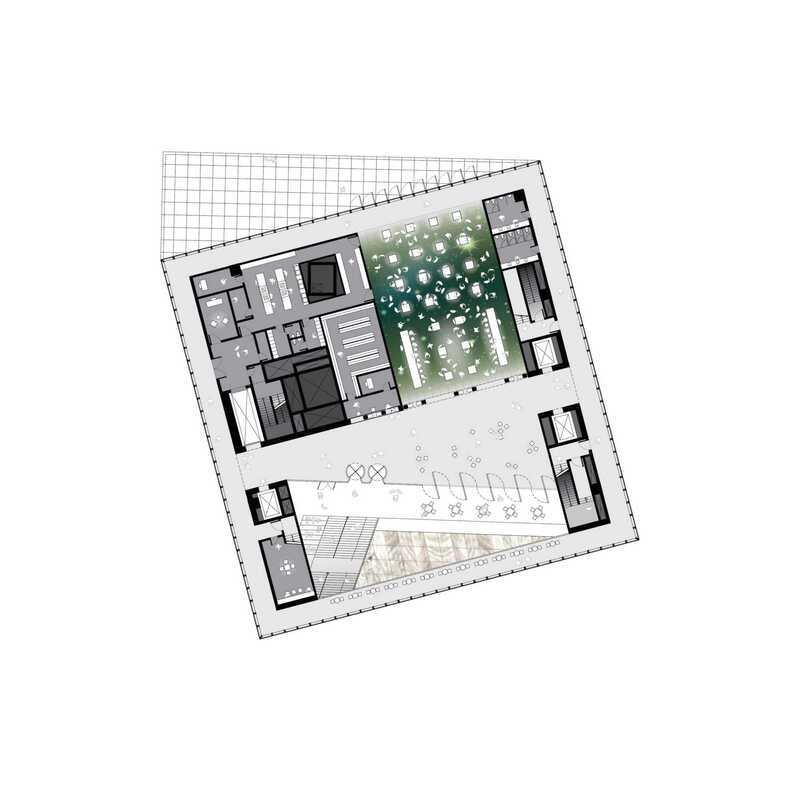 The resulting program translates the need for flexibility into mutable performance spaces that can be endlessly configured, explained Joshua Prince-Ramus, founding principal of REX. 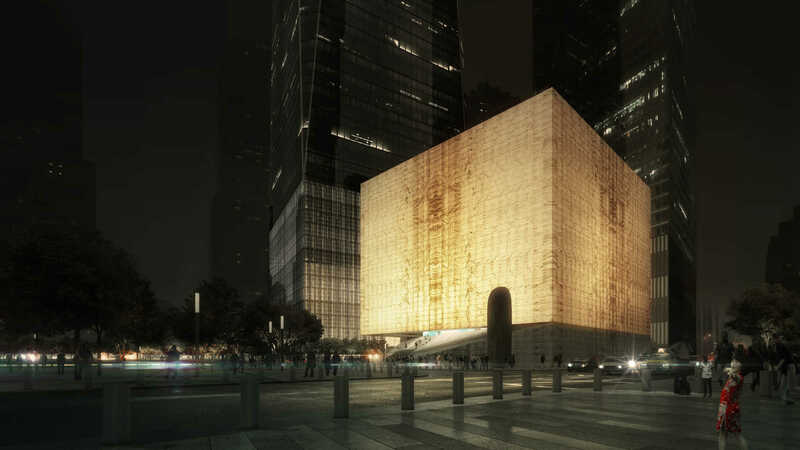 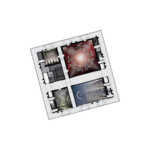 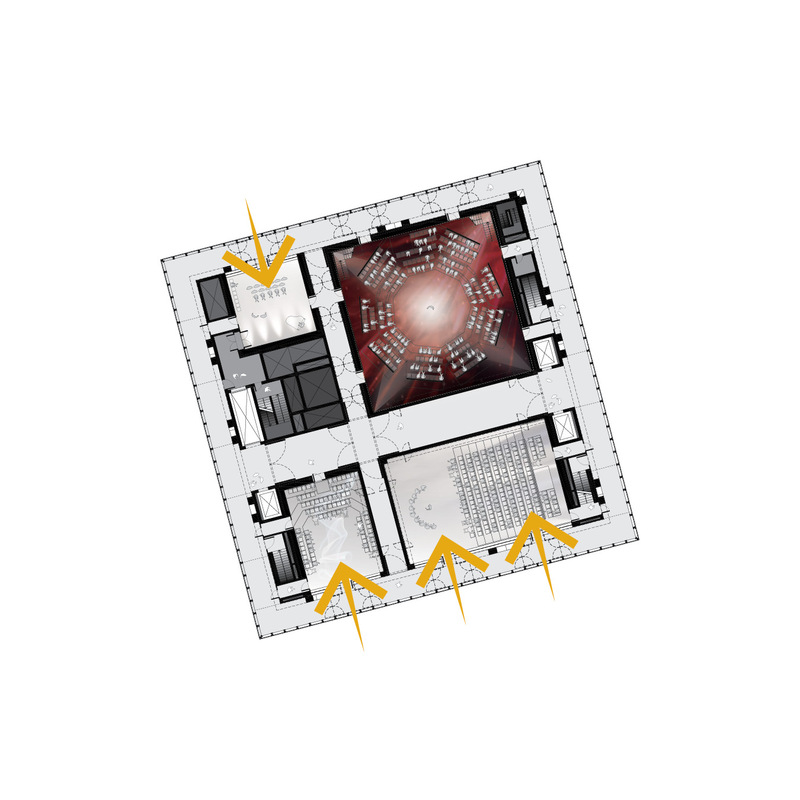 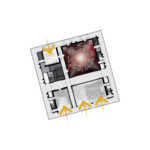 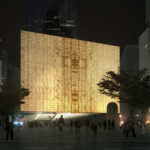 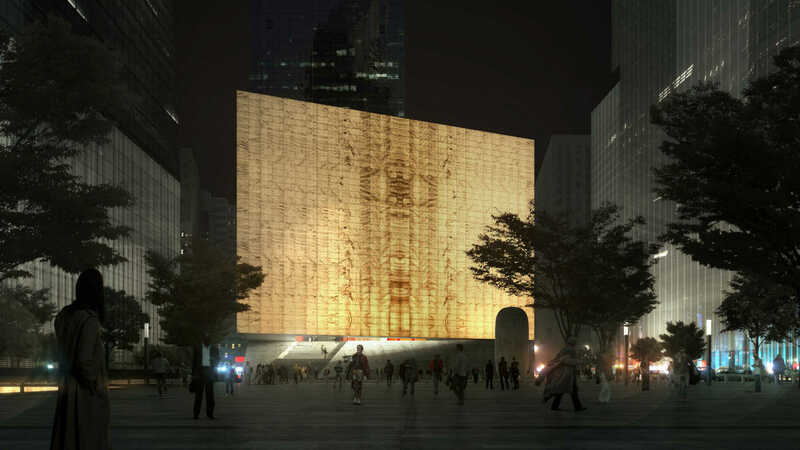 His team created a translucent marble box with a creamy amber pattern straight from a grandmother’s snakeskin purse but with all the requisite gravitas for a building on hallowed ground. 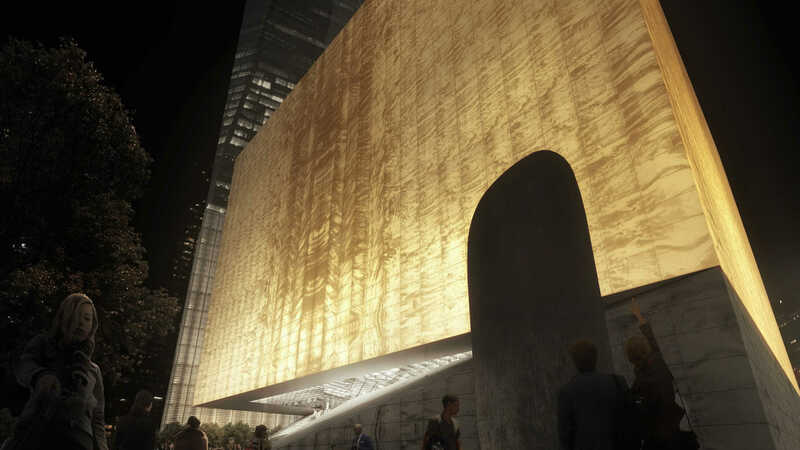 “The light comes out like a beacon,” the eponymous Perelman gushed. 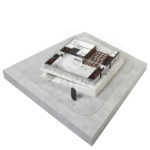 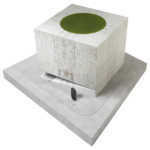 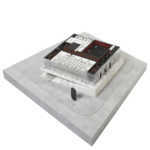 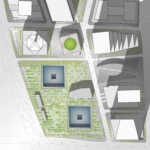 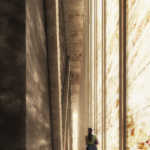 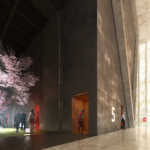 “[The center] is a simple, pure form that creates a mystery box, defying [visitors’] expectations,” Prince-Ramus said. 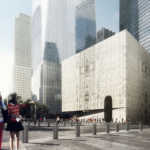 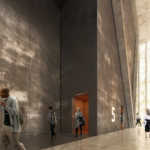 At the intersection of Greenwich and Fulton, and perpendicular to Calatrava’s PATH station, the three-story building is “an exciting pop” that dialogues with the entry to the 9/11 Memorial and Museum and St. Nicholas Orthodox Church, he noted. 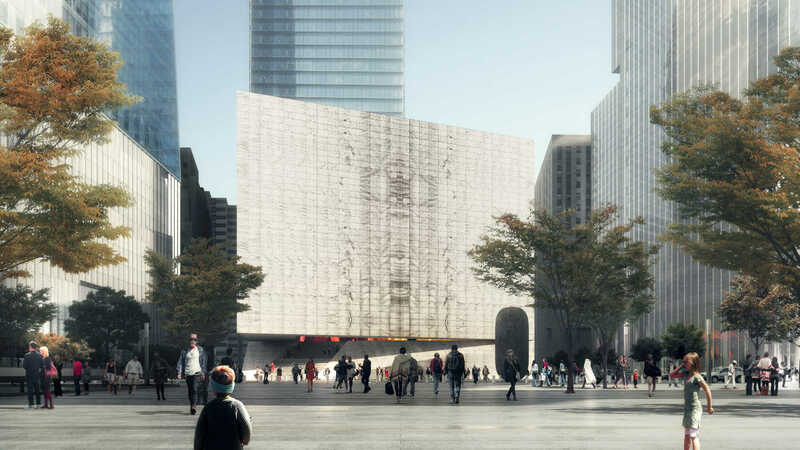 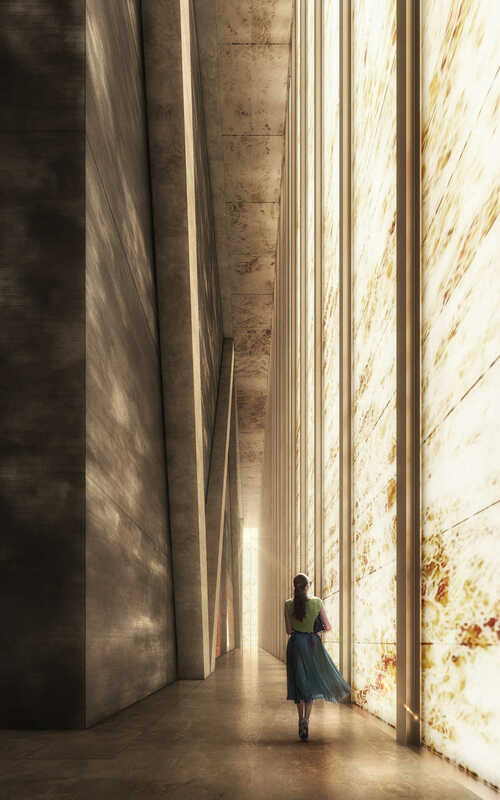 The facade is made of the same Vermont marble used for the Jefferson Memorial and the recently-refurbished Beinecke Rare Book & Manuscript Library, but the Perelman Center’s stone will be sliced thinly and laminated between two layers of glass to improve the structure’s performance. 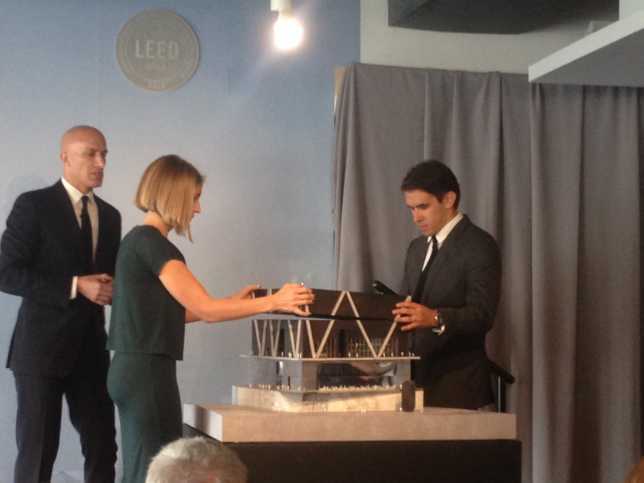 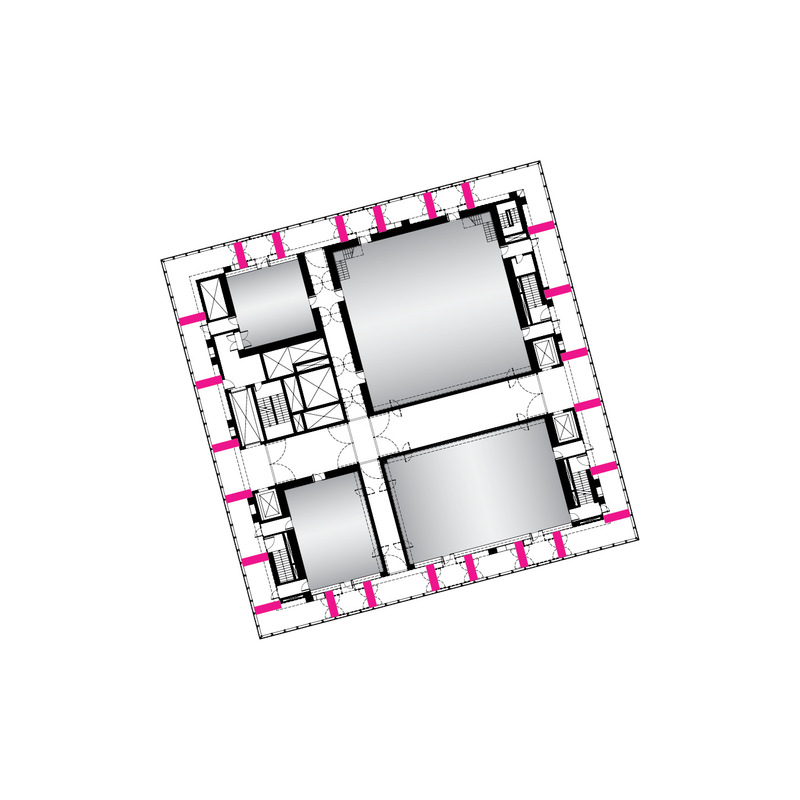 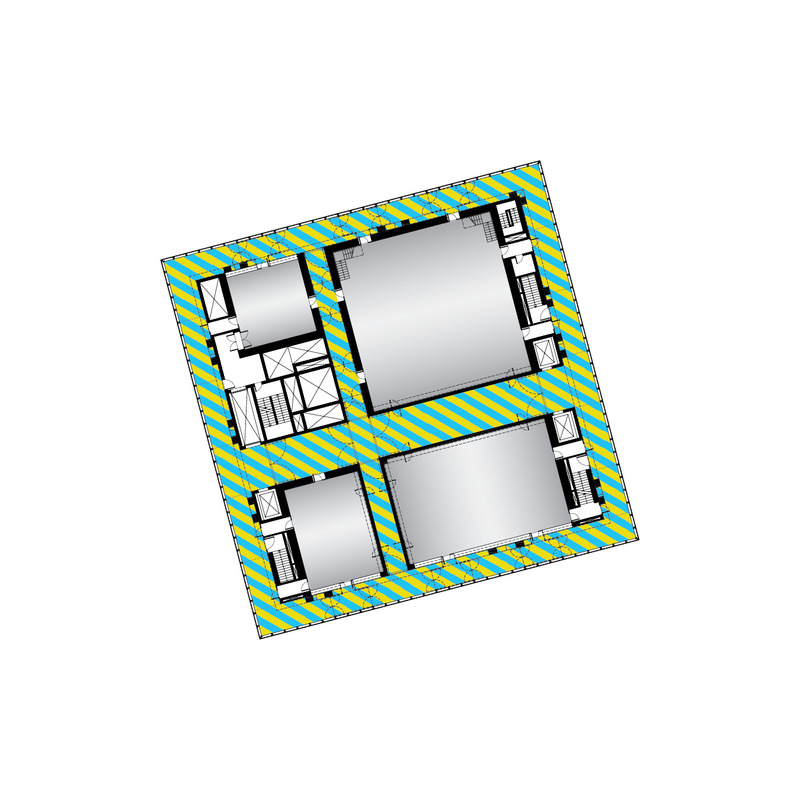 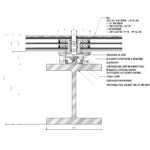 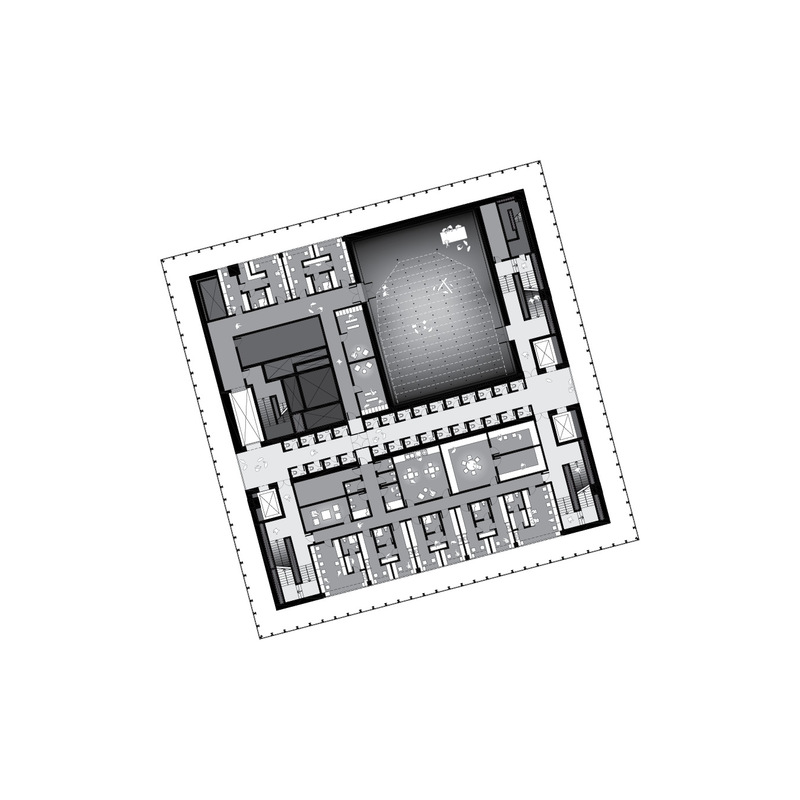 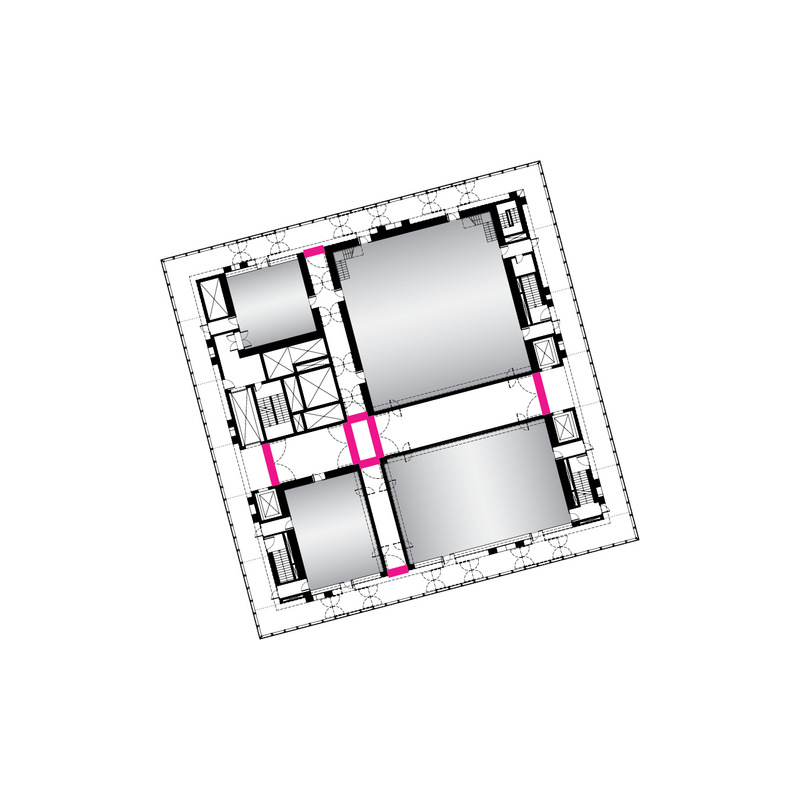 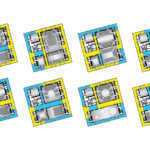 Like a magic show, architects from REX’s team lined up to pull the model apart, layer by layer, as Prince-Ramus detailed its functions. 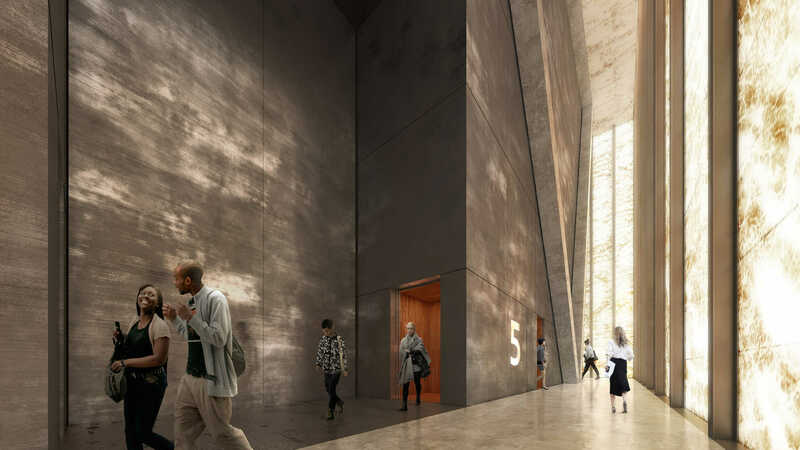 Visitors enter the coffered main lobby (level one) through a staircase that spills from a steep cut at the top of a 21-foot plinth. 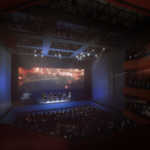 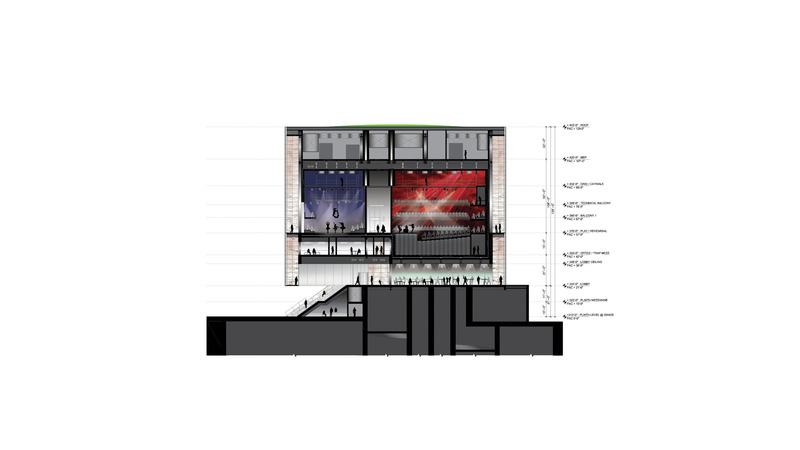 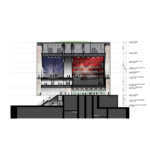 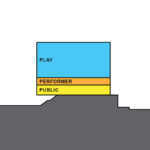 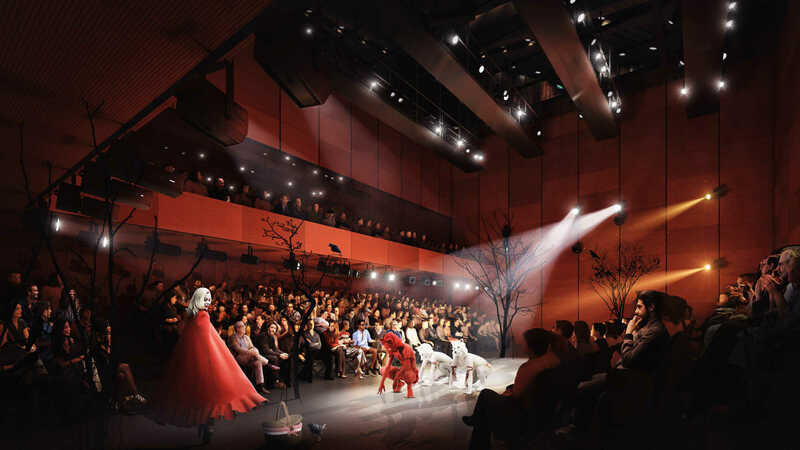 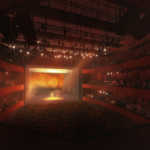 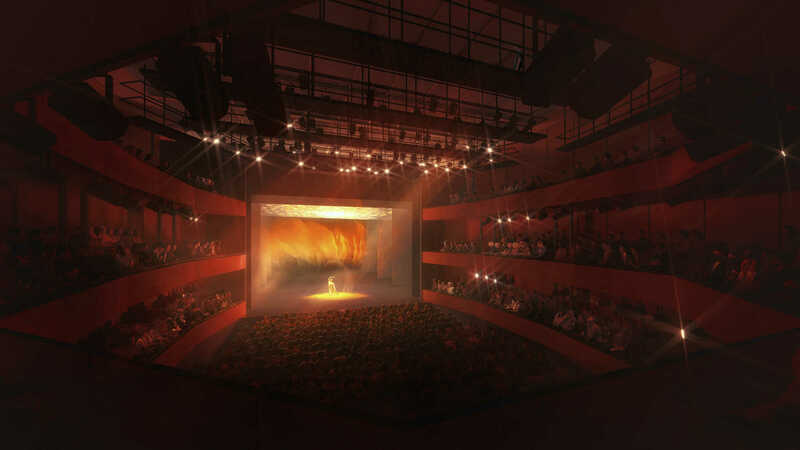 The top floor, the Play Level, is comprised of four main auditoria—with 499, 250, and 99-person capacities, plus a smaller flex space—whose acoustic guillotine walls have “an endless number of permutations [for the artistic director to create] that we can’t even predict, and that’s incredibly exciting.” The renderings and diagrams in the gallery above depict some possible arrangements and circulations. 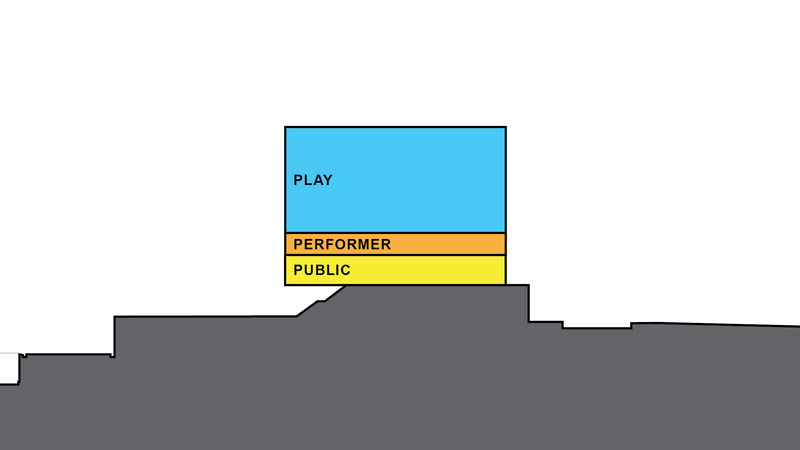 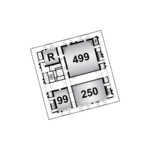 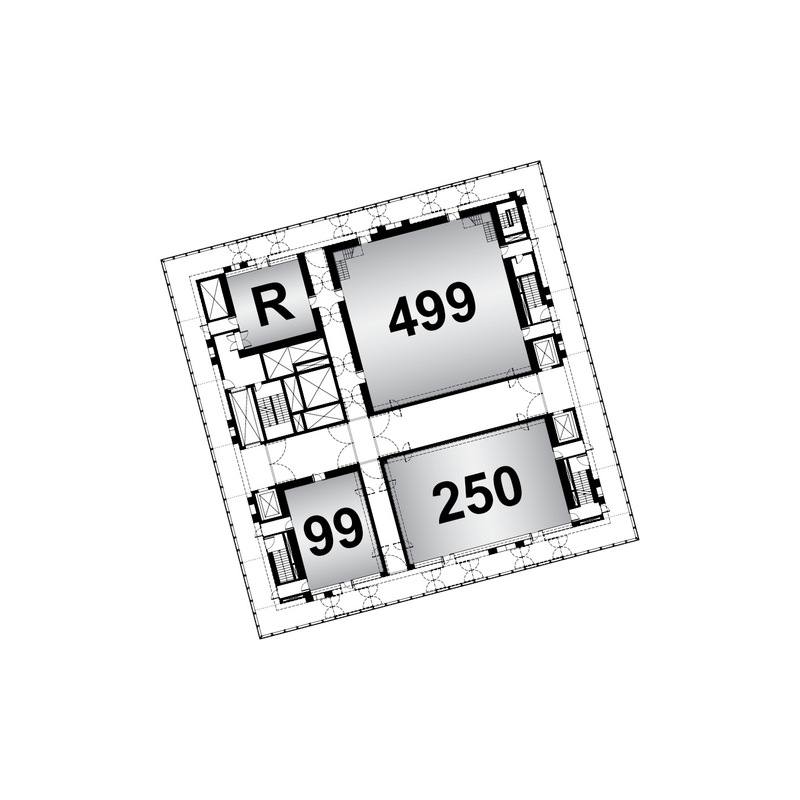 The Performer Level, level two, is the building’s support area, with practice spaces, dressing rooms, costume shop, and green rooms for performers. 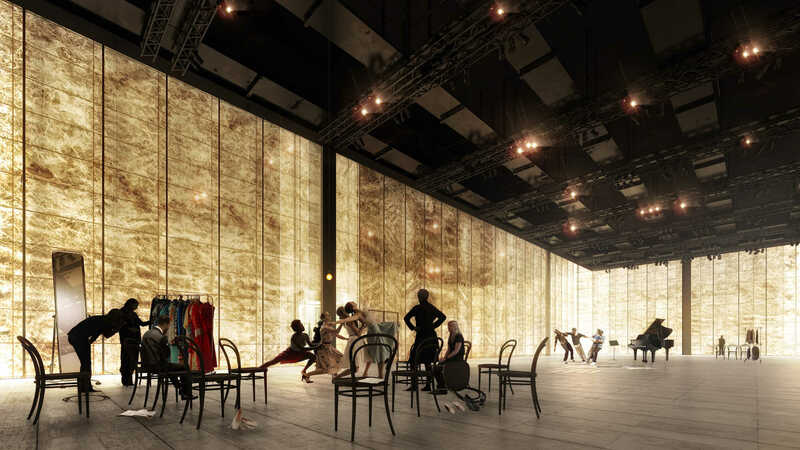 In most theaters, these spaces receive scant light; in REX’s design, the translucent marble facade allows natural light in. 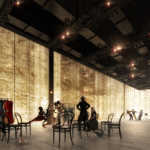 Brooklyn-based REX is collaborating with Threshold Acoustics consultants from Chicago and theater designer Andy Hales of Charcoalblue (the same firm that collaborated with Marvel Architects on the recently opened St. Ann’s Warehouse in DUMBO). 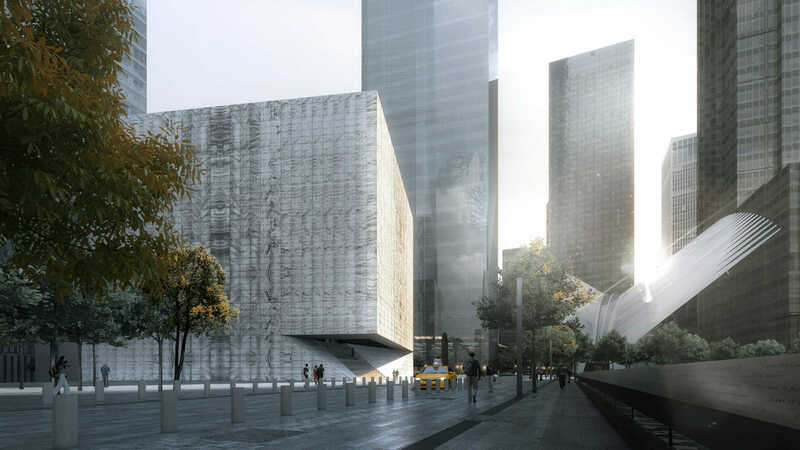 The 90,000-square-foot building’s design changed “remarkably little” between concept and execution, Boepple said, except to allow for additional security measures. 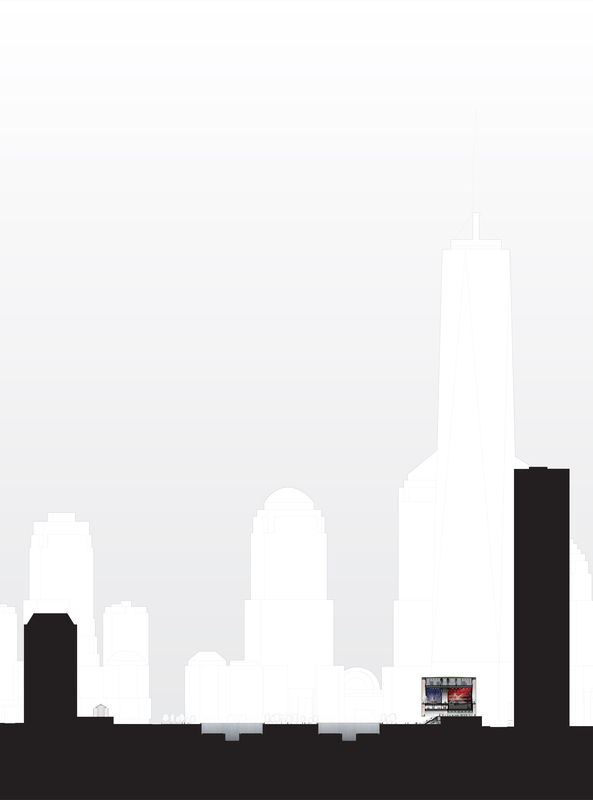 Due in large part to a $75 million donation from its namesake board member, the Perelman Center has raised $175 million of its $250 million projected cost, with $99 million of the funds coming from HUD regeneration money dispensed through the Lower Manhattan Development Corporation (LMDC). 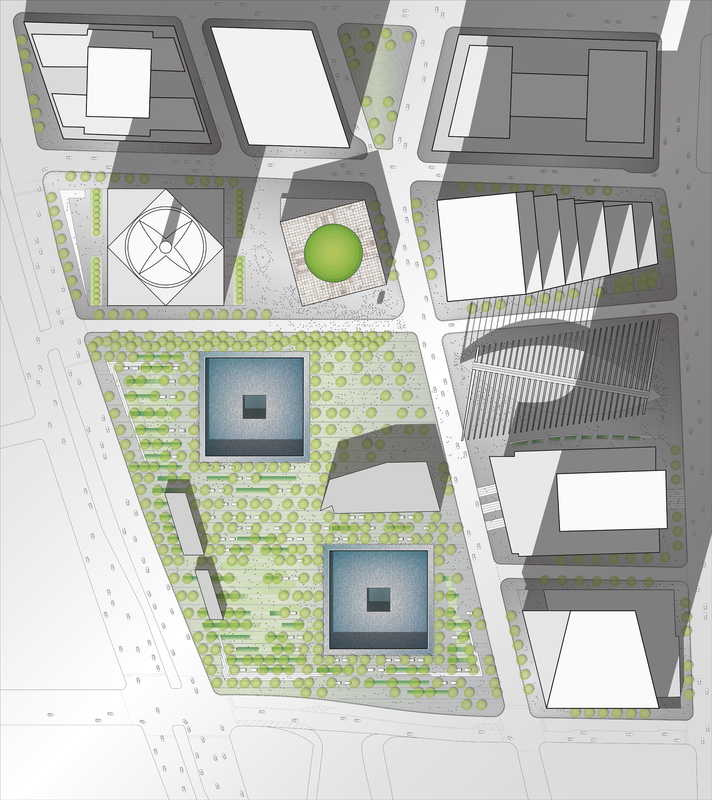 The center is expected to open in 2020. 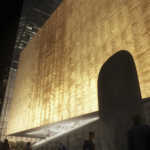 For more images and information, visit theperelman.org.